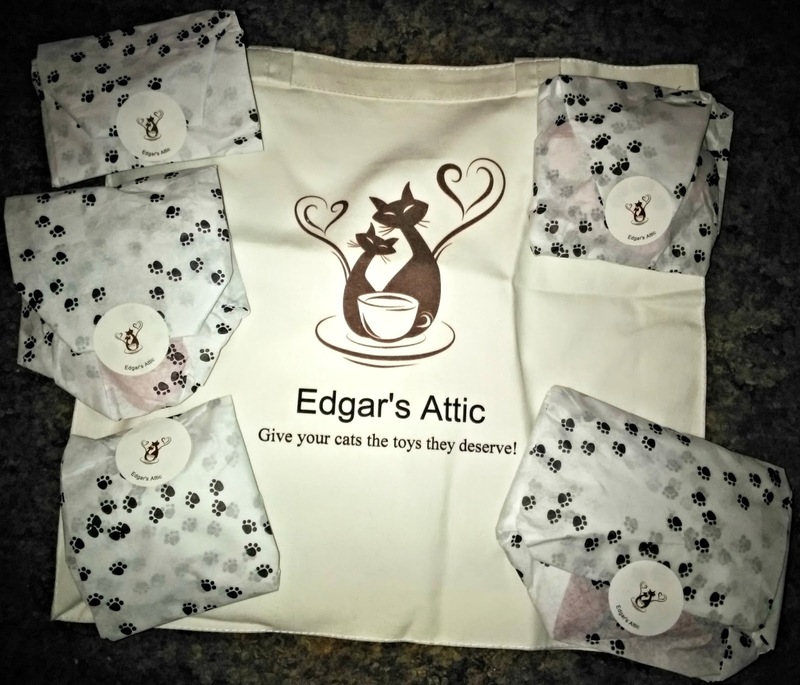 Show Cat Surprises by Elaine Viets, Author of Catnapped! I’ve been owned by cats for more than 20 years, ever since my husband, Don Crinklaw, rescued a kitten about to be run over by a truck. We were driving y to Elsah, Illinois, so we named her Elsah. A few miles farther down the road, and she would have been called Wood River. 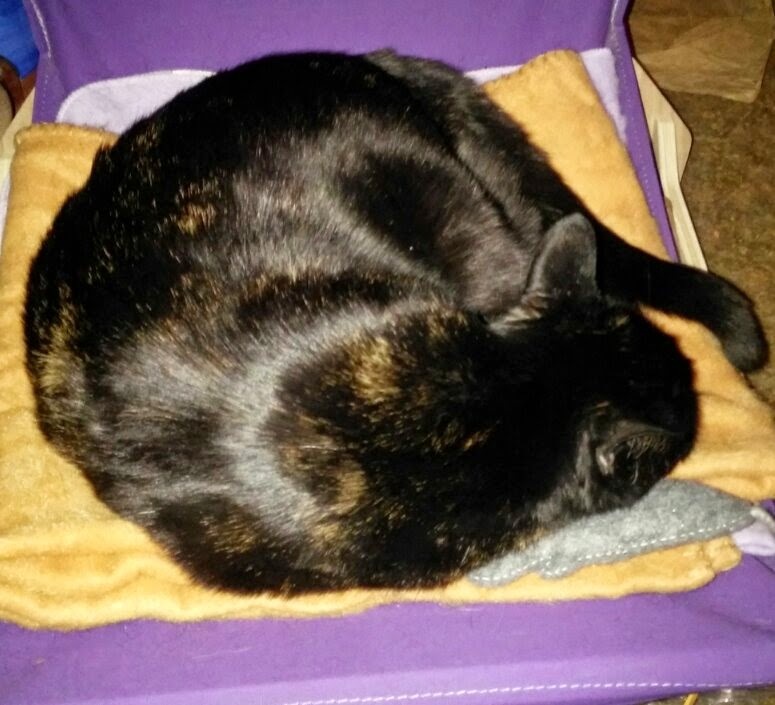 Since Elsah, all our cats have been rescues. Until Mystery. We adopted the defrocked show cat more than a decade ago. Mystery is a pedigreed Chartreux, officially Columbleu’s Unsolved Mysterie, but her show cat career was cut short when she bit a judge. 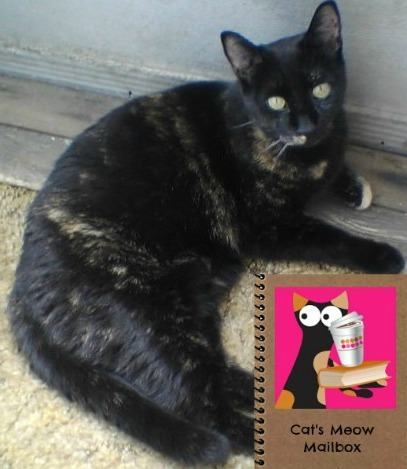 Her brother became a cover boy for Cat Fancy Magazine and won a slew of awards. 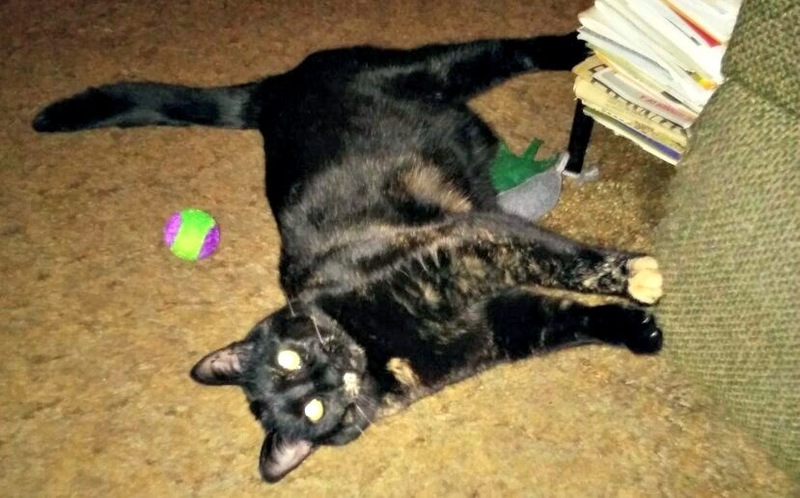 Mystery was spayed and Don and I were lucky to adopt her. 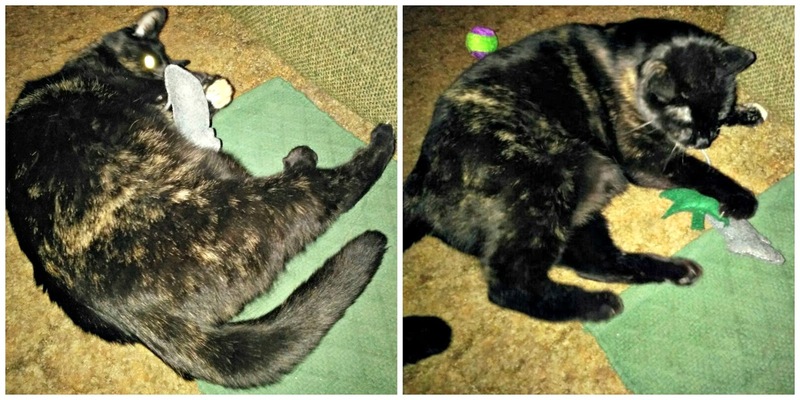 We figured she was still a rescue cat: We’d saved her from a job she didn’t want. But it wasn’t until I attended a cat show to research Catnapped!, my lucky 13th Dead-End Job mystery, that I really learned about show cats. The Platinum Coast Cat Fanciers’ All-Breed cat show was in Fort Myers, Florida last July. I was also there to interview people for my half-hour talk show on Radio Ear Network. Catnapped! is a light-hearted Florida mystery. Financier Smart Mort Barrymore is in the midst of a bitter divorce when he’s murdered and his beloved Chartreux show cat is kidnapped and held for a half-million dollars. Husband and wife PI team Helen Hawthorne and Phil Sagemont to go undercover in the world of cat shows to find the catnapper and Mort's killer. In Catnapped! 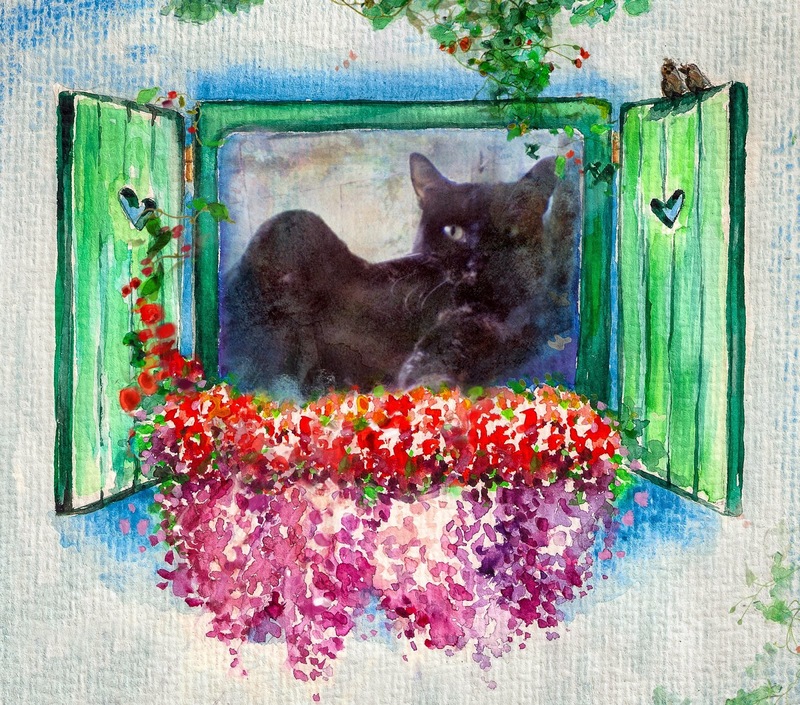 I wanted to depict the cats’ personalties and the dedicated people who love and show them. At the Fort Myers show, I was fascinated by how pedigreed cats didn’t mind the noise and crowds in the show hall. Well, most of them. One elegant Siamese was vocal in his disapproval. The other cool cats curled into contented muffins in their show cages or slept until they were in the ring. Cat show judges are natural teachers and enjoyed talking about the breed. One judge, Tracy Petty, southern region director of the Cat Fanciers’ Association, skipped lunch for a radio interview, then volunteered to help me with Catnapped! Her attention to detail was impressive. I’d send two or three versions of a chapter before she’d declare it accurate. Judge Petty used to breed prize winning Persians and Siamese. She taught me that washing a long-haired show cat is time-consuming. A cat bath starts with Goop – the hand cleaner – and includes two shampoos, a conditioner, and if it’s a white cat, a blue rinse. Then the cats are dried with a special dryer. She said show cats learn to enjoy the process, especially the blow dryer. Once they’re cleaned, the cats’ beautiful ruffs are protected by paper coffee filters, worn like collars. And the coffee filters have to be torn, not cut with scissors, or they will shear the fur. Judge Petty’s description of cat washing left me grateful I have self-cleaning cats. She also schooled me in the language of show cats. Pedigreed grays are always blue. I’ve stared at Mystery, my pedigreed Chartreux, until I’m blue in the face, but she still looks gray as a rainy day. And enter my contest for the Bakers Dozen Book Giveaway. Go to www.elaineviets.com and click on Contests. 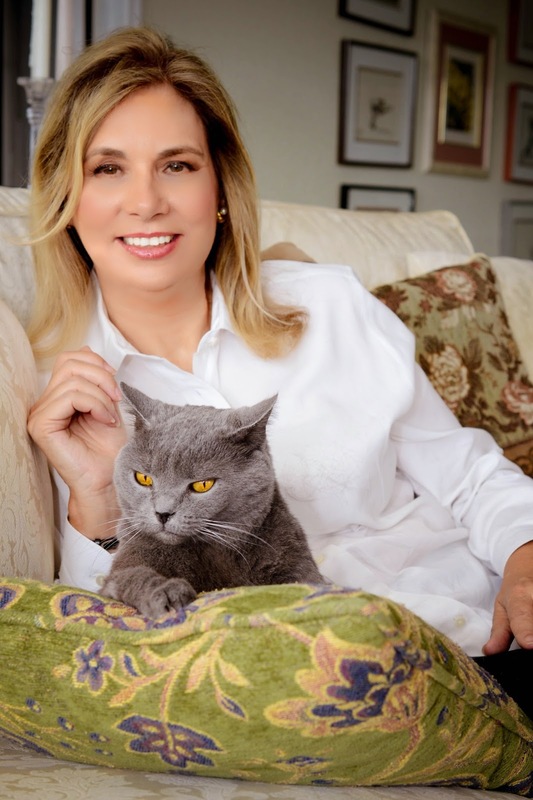 Socialite Trish Barrymore and her rich husband, Smart Mort, can agree on only one thing in their bitter divorce: shared custody of their beloved cat. 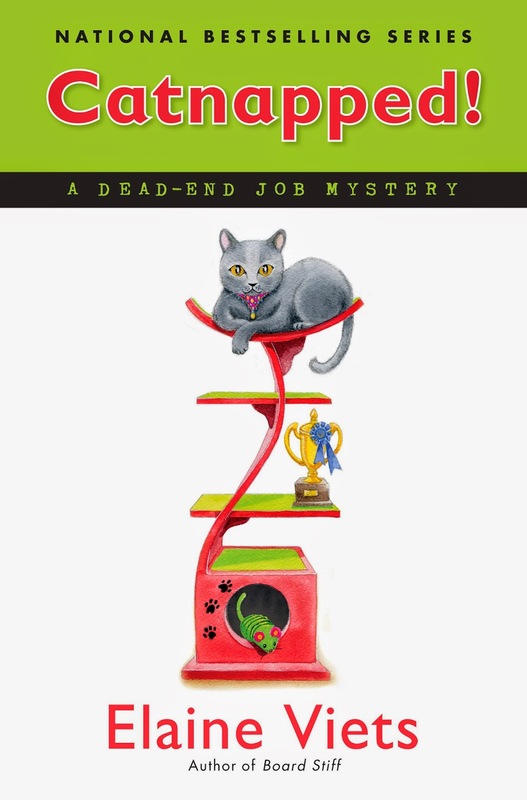 But when Mort is found dead and the cat is being held for a half-million dollars in ransom money, it's up to husband and wife PI team Helen Hawthorne and Phil Sagemont to go undercover in the world of cat shows to find the catnapper -- and Mort's killer. Another cat-tastrophe looms. Their home, Coronado Apartments, is slated for a tear-down when Margery, their landlady, is arrested for murder one. Elaine’s bestselling Dead-End Job series is a satiric look at a serious subject – the minimum-wage world. Her character, Helen Hawthorne, works a different low-paying job each book. Elaine’s second series features mystery shopper Josie Marcus. Elaine is a St. Louis native who now lives in Fort Lauderdale. She won the Agatha, Anthony and Lefty Awards. Follow her on Facebook at http://www.facebook.com/ElaineVietsMysteryWriter. Check her Website at www.elaineviets.com. 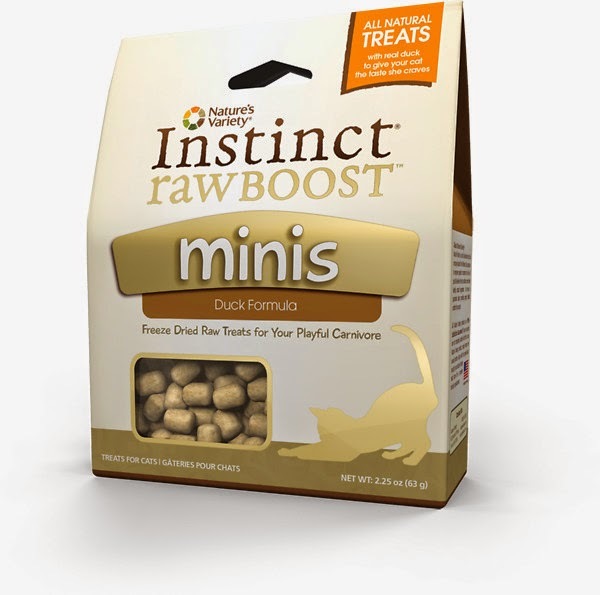 Treat your pets with all the wholesome goodness they deserve with Instinct Raw Boost Minis. Healthy and delicious, each treat gives dogs and cats what they crave - real, all natural duck and pure raw ingredients. These freeze dried raw treats are a perfect way to provide pets with the healthy benefits of raw while satisfying their senses with a delicious treat they'll absolutely love! Does not contain: Wheat, corn, soy, grain, gluten, by-product meals, artificial colors, flavors or preservatives. What did I think? I have to be perfectly honest. I didn't like them. 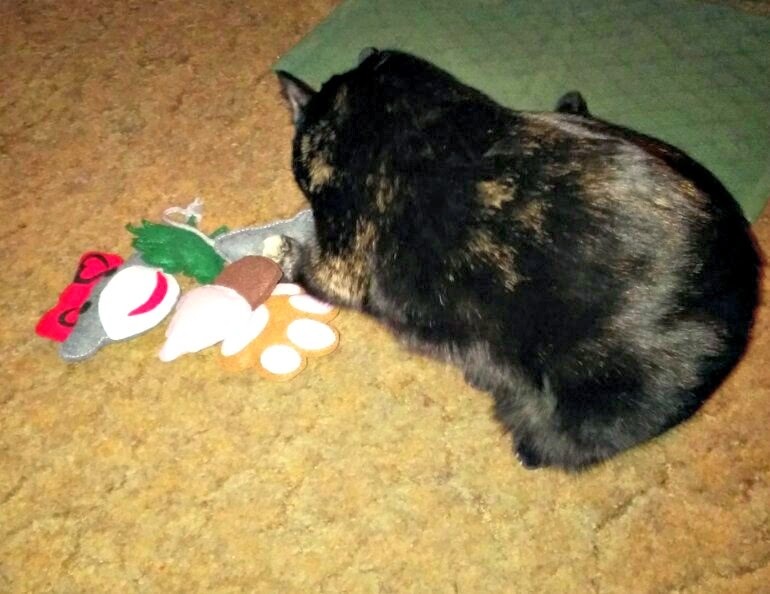 Mommy gave me 3 treats which sat there for a couple hours before I finally ate them. She gave me 5 more pieces and I walked away. She tried again a few days later and I wouldn't touch them. What can I say, I guess I'm just not a duck kinda girl. 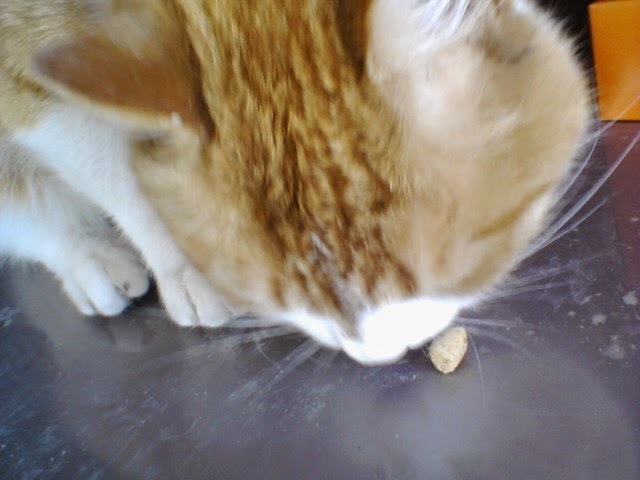 So I sought a second opinion from my neighbor kitty Pumpkin who likes to visit my house daily for a snack. He LOVED them! He actually climbed up Mommy's leg impatiently waiting for her to open the package! You can enter to win Chewy.com credit or the April Treat Prize Pack by filling out the Rafflecopter below! Full Disclosure: We received a free package of treats for review; all opinions are our own. 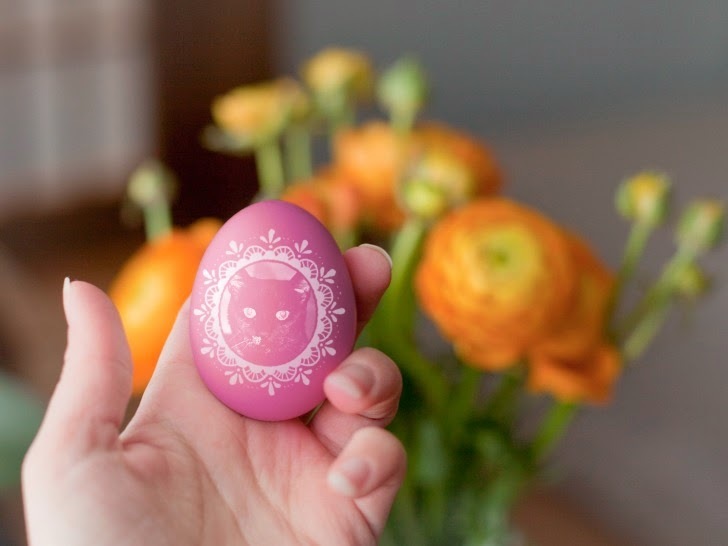 Start this spring off on the right paw. Spring into action and adopt a pet at the PetSmart Charities National Adoption Weekend, sponsored by PetSmart®, from May 2-4 at your local PetSmart store. The weekend-long event allows people to meet thousands of friendly, lovable dogs and cats waiting for someone to spring into action and adopt them. Whether it’s a clever cat or a playful puppy, you are bound to find a new best friend. More than 2,000 animal welfare organizations will be on-site at all 1,300 PetSmart stores in the United States, Canada and Puerto Rico. Prospective pet parents can meet the dogs and cats available for adoption and talk with volunteers about the adoption process and how to prepare to bring a new pet into their home. PetSmart Charities will reward all participating adoption partners; each will receive $35 in adoption-reward grants for every pet adopted during the event. PetSmart, Inc., Purina® Pro Plan® and Tidy Cats® (MAXX Scoop® in Canada) are proud sponsors of National Adoption Weekend. PetSmart Charities placed collar cameras on homeless cats and dogs to gather insight into what they see in a shelter as they wait to be adopted. See for yourself in this fun, new video. Visit the PetSmart Charities’ adoption center inside any PetSmart store in the United States, Canada or Puerto Rico from 9 a.m. to 9 p.m. on Friday, May 2 and Saturday, May 3; and 10 a.m. to 6 p.m. on Sunday, May 4. 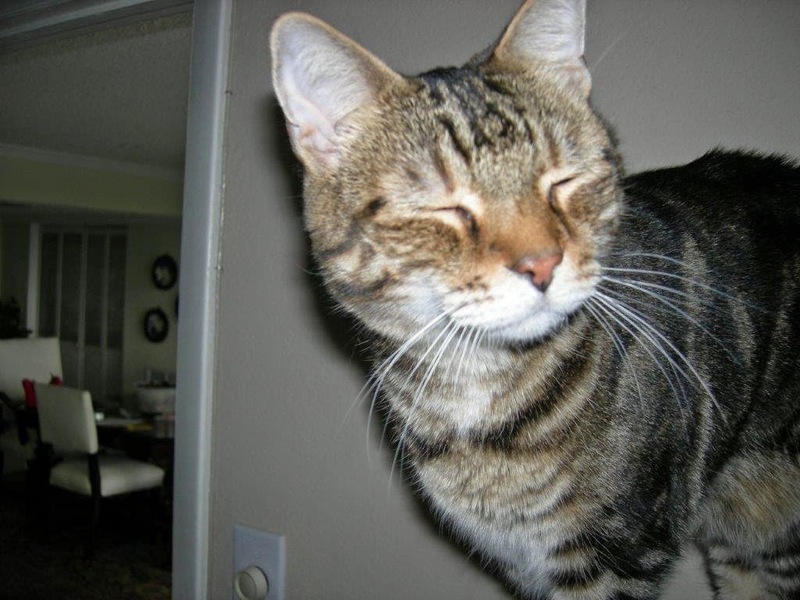 To find the PetSmart store nearest you, visithttp://pets.petsmart.com/adoptions/ or call 1-877-473-8762. You can follow PetSmart Charities and PetSmart on Facebook throughout National Adoption Weekend at www.facebook.com/PetSmartCharities andwww.facebook.com/PetSmart. Or, talk with us on Twitter athttps://twitter.com/PetSmartChariTs and https://twitter.com/PetSmart and by following the hashtag #adoptlove. We also invite you to share your adoption story. 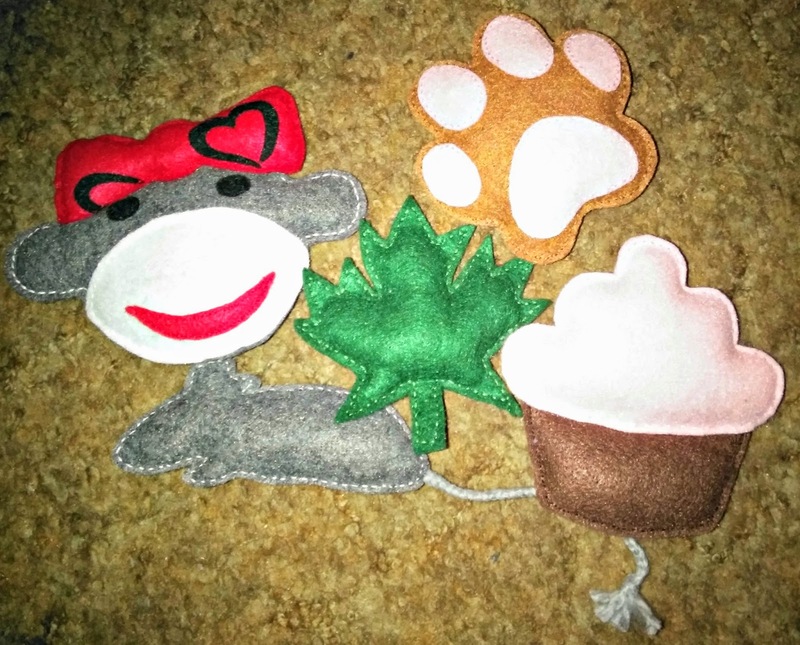 Your pet’s happy “tail” will be posted on PetSmart Charities Pet Adoption Announcements page. PetSmart Charities, Inc. is a nonprofit animal welfare organization that saves the lives of homeless pets. More than 400,000 dogs and cats find homes each year through our adoption program in all PetSmart® stores and our sponsored adoption events. PetSmart Charities grants more money to directly help pets in need than any other animal welfare group in North America, with a focus on funding spay/neuter services that help communities solve pet overpopulation. PetSmart Charities is a 501(c)(3) organization, separate from PetSmart, Inc.
Blurb: For Julia Snowden, the Founder's Day summer celebration in Busman's Harbor, Maine, means helping her family's clambake company to prepare an authentic taste of New England seafood. Any Mainer will tell you that a real clambake needs wood for the fire . . . so why is there a foot sticking out of the oven? The townspeople want to pin the murder of the RV park owner on Cabe Stone, a new employee of the Snowden Family Clambake Company--who bolted from the crime scene and disappeared. Julia knows having another murder associated with her family's business is a recipe for disaster . . . but who is the killer? Cooking up a proper investigation doesn't leave much time for the rest of Julia's life, and this is one killer who'll do anything to stop her from digging up clues . 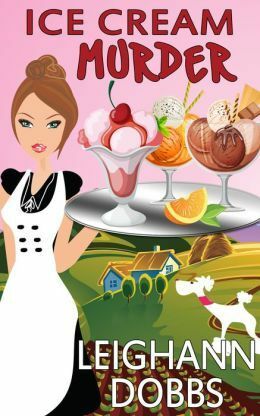 . .
Mochas, Mysteries and Meows Review: Boiled Over is the second book in Barbara Ross' Maine Clambake Mystery series and takes place during Founder's Weekend in Busman's Harbor. A pall is cast over the celebration when the body of RV park owner Stevie Noyes is found and one of the Snowden Family Clambake Company's new employees is the main suspect. Many suspicious characters and loads of family intrigue make this one a whodunit right up until the very end. * The Cover: Watermelon, blueberry pie, corn on the cob...classic New England summer food. But what really kills me is the deviled eggs made to look like little chicks are popping out. Too cute for words! * The Setting: I'm a lifelong New Englander who has never visited the beautiful state of Maine, but it is one of my favorite places to visit via the pages of a book. Experiencing an authentic Maine clambake just like the ones described in this series is definitely on my bucket list...minus the dead bodies, of course. * The Murder: I always enjoy it when an author finds a unique way to kill off their murder victim, especially when it ties in to the theme of the mystery series. In this book the victim is found in the wood fire under the Claminator, a contraption built to enable safe cooking on the pier. * Family Matters: Julia and her mother have a complicated relationship, which causes Julia to question if she wants to completely leave her life in New York City behind and stay in Busman's Harbor. She doesn't want to end up like her Mom, who it appears never quite belonged anywhere. She ends up discovering what I wish more people would understand: choosing to be alone does not necessarily mean you are lonely. Final Catcall: Grab your kitty, an iced mocha, and a copy of Boiled Over. Before long you'll be imagining that you're vacationing on the coast of Maine, feeling the sea breeze and tasting the ocean air. Full Disclosure: I received an advanced copy of this book from the author. When I first decided to write a story set during the Salem witch trials, I thought I knew a lot of the history. The more I researched, however, the more I realized how wrong I was. I now see the trials—and the Puritans themselves—in a whole new light, and these are just a few of the discoveries that led the way. 1. The worst of the Salem witch trials lasted less than a year. The first stirrings were early in 1692, and the final hanging occurred on September 22 of the same year. Though a few remained accused, they were pardoned by May of 1693. 2. Those who were accused and subsequently confessed were spared, but very few confessed—it was against their faith to do so. 3. None of the so-called witches were burned at the stake. Nineteen were hanged, and one—a man—was pressed to death under the weight of stones. 4. The youngest to be accused was Sarah Good’s four-year-old daughter, Dorcas. 5. One of the accused and executed, George Burroughs, was a Puritan minister. 6. Of the 20 who were executed for practicing witchcraft, six were men. 7. Interestingly, though the Salem witch trials are commonly blamed on hysteria, the word “hysteria” didn’t exist at the time. Its origins date to the 1790s, more than 100 years after Salem’s so-deemed hysteria ended. What about you? Did you find any of these facts surprising? The Salem witch trials are marked by horrible acts, but the time also encompassed so much more. For the people who lived this period of history, it was dark and terrifying and real. They feared, but they also loved. My Sins of Salem series attempts to bring those love stories—set against the backdrop of one of the most horrifying times in America’s history—to the forefront. I hope you’ll find them as fascinating as I do! 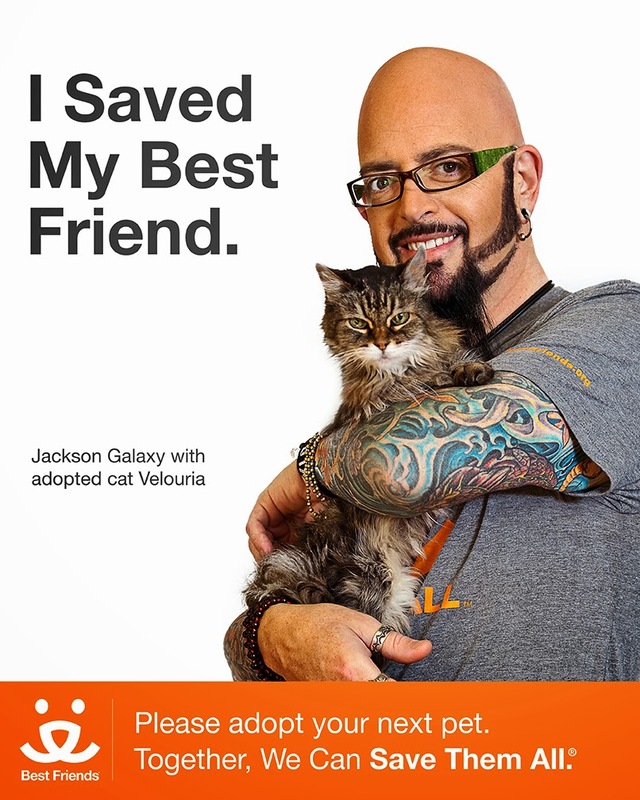 We're huge fans of Jackson Galaxy and all the wonderful work he does for kitties and are just thrilled to see that he's teaming up with one of our very favorite animal sanctuaries. And we can't wait for the new season of My Cat From Hell starting tomorrow. Although Truffles will never, ever be a candidate for the show (she's far too perfect! ), we'll be watching! Will you? LOS ANGELES — Cat behaviorist by day and rock n’ roller by night, author, and star of “My Cat From Hell” on Animal Planet, Jackson Galaxy is the latest celebrity to show his support for national animal welfare organization Best Friends Animal Society’s efforts to end the killing of dogs and cats in our nation’s shelters. Galaxy said: “With more than 9,000 dogs and cats killed in our nation's shelters each day, we find ourselves at a crossroads, a place where our choices can change things in a profound way. I’m extremely proud to stand side-by-side with Best Friends to help raise awareness about the importance of adopting shelter animals and spaying and neutering to control population. Each time this positive choice is made, not only is a life is saved, but we move one step closer to Saving Them All." Blurb: Cherokee is old. His joints ache. His nose can no longer distinguish between the scent of bacon and a clump of dirt. His eyes see only shadows. 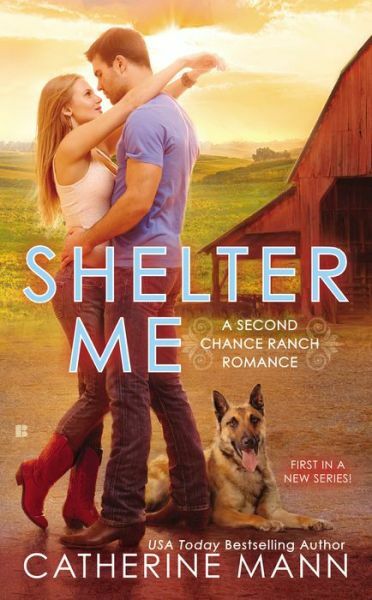 On the eve of his death, he lies in a cage in an animal hospital, with a needle in his forepaw, and reflects on his life and purpose of being a faithful companion to his beloved mistress and best friend, Alicia Baxter. Alicia and Cherokee’s friendship begins when Alicia wanders into a pet shop and finds herself drawn to the puppy prancing before the window with his food bowl in his mouth. From the moment Alicia brings him home, Cherokee becomes an integral part of her journey of self-discovery as she struggles with insecurities, a lack of identity, and an unimaginable loss. Even as Alicia makes a life-altering decision to start over in a place where she is forced to rely on herself, Cherokee’s love and loyalty to her never waver. Narrated in a voice filled with wisdom, humor, and astute awareness, The Seasons of Cherokee’s Life tells the story of a dog’s deep bond with his mistress as he walks beside her and watches her transform into the courageous and independent woman he has always believed her to be. What I discovered is that although parts of this story made me cry, I also found it to be extremely therapeutic and inspirational. The Seasons of Cherokee's Life: A Canine's Final Reflections, is told from the point of view of Cherokee, a former puppy mill dog who becomes an integral part of the lives of his mistress Alicia and her family. As Alicia deals with the insecurities that many of us face followed by a devastating loss, culminating in the realization of a dream, Cherokee is her constant companion. Through this book we see life through his eyes and get a glimpse of the wisdom that our four-legged family members possess. 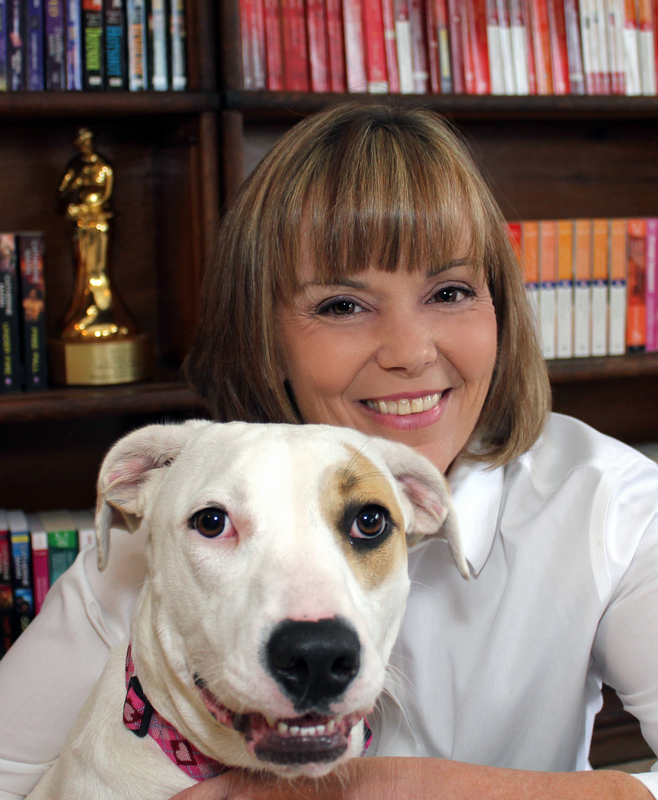 It was my great pleasure to have the opportunity to interview author Sandra Roberts about this wonderful book, the real life Cherokee, dealing with the loss of a beloved pet, and what humans can learn from these wonderful creatures that we share our lives with. The book is narrated by Cherokee, who during his last night of life, tells the story of his life as Alicia Baxter’s loyal and compassionate companion and “guardian angel.” With humor, wisdom, and keen insight, he draws a portrait of the integral role he played in Alicia’s journey of transformation from a woman filled with self-doubt and limiting beliefs in her talent and abilities to a self-actualized woman of strength and courage. The inspiration for the story came several months after the real Cherokee’s sudden and unexpected passing. In life, he was a very calm dog, who was content to observe life around him. On the way to the animal hospital, Cherokee was wrapped in a blanket and cradled in my arms like a baby. He was very lethargic and unresponsive. At one point when I was looking down at him, he turned his head to look at me. The way he maintained eye contact with me sent a chill down my spine because he had never done that before. In his eyes I saw an intelligence that exceeded that of a canine. I felt that he was trying to convey a message to me; and I also knew he was saying goodbye. After he was put down due to kidney failure, I began to wonder what he was trying to tell me. If he’d had the ability to articulate in words what he was thinking, how would that have come across? So, one day, I got a brief flash of inspiration and started to write a few paragraphs of how I imagined Cherokee would have sounded like if he’d had the ability to talk. And that was as far as I got. I wasn’t quite sure how to proceed. Did you draw from any real life experiences or is the story purely fictional? The story, as a whole, is purely fictional. It took almost two years after Cherokee’s passing before I mustered up the courage to actually pursue my dream as a writer. I had always wanted to be a writer, but never had the confidence in my talent or ability. In 2013, I experienced some major life changes. In my grief, I spent a lot of time walking by the ocean seeking comfort and contemplating my life. It was during these walks that the story began to form and take shape. Cherokee’s voice became stronger, and Alicia Baxter’s character was born. She became the archetype for everyone who has a dream, but stops themselves from pursuing it due to a lack of confidence in their ability to achieve it. As with me, it took a major life change in Alicia’s life to shake her out of her fear and inertia to tap into the inherent strength we all possess. Once I began to sit down and began to write, the words began to flow on their own. The story began to go in directions I never even imagined. I infused her character with my own love of cooking and entertaining, and how she derived her sense of self and identity from being the perfect housewife. In life, Cherokee always hated to see me cry. I truly believe that he was around offering comfort and solace this past summer, and that it was his beautiful spirit who guided my hand in the writing of this book. I would love to know more about the real Cherokee that you shared your life with. I actually met Cherokee when he was seven-years old, so I did not know him as a puppy. I entered a relationship with his owner, and fell in love with Cherokee at first sight. Cherokee was a very calm and quiet dog. He had a Zen-like quality about him. He rarely, if ever, barked, even when the doorbell rang. But, boy, did he have a stubborn streak! During his walks, if he was not done sniffing a tree, bush, or lamp post, he would dig his heels in if you wanted to continue with the walk. And he had to find the perfect place to do his business. If he hadn’t sniffed out the right spot, the walk would take a long time! He loved his baths, which I would give him every Sunday, with baby shampoo for his face and oatmeal for his body. Once he was completely brushed and blown dry, he would tear out of the bathroom, run to his basket to grab a toy and would want to play. As I’d mentioned earlier, Cherokee did not like to see me cry. I would be in another room quietly sniffling, and when I would look up or turn around, there he was, looking at me. Cherokee really began to slow down when he turned fifteen. It was then that his mortality became evident. Even though we know that our dogs won’t live forever, we also don’t think about the inevitable too much. Then one morning in November of 2011, Cherokee woke up with his hind legs buckling under him. He had difficulty walking and couldn’t make it to his potty pads to empty his bladder. The vet suggested that he stay overnight for IV treatments to see if they could bring down the elevated numbers in his kidneys. The next morning when we went to see him, we were informed that there was no change in his condition. When we were taken to Cherokee’s pen, he was resting with his back turned to the world behind him. I got the distinct impression that he was waiting for us because as soon as the door to his pen opened up and I wedged myself in there as far as I could, Cherokee immediately went to lay on his side and firmly shut his eyes. He never opened them as we talked to him. He very clearly let us know that it was his time to go. So we made the heart-wrenching decision to put him down. deal with your loss? Have you brought another pet into your life? My grief over losing Cherokee was very acute. Had he been sick for a while, maybe I would have been better prepared over his sudden loss. Yes, he was aging and had slowed down, but there was that hope that he would be around for another couple of years. After he was gone, I couldn’t bear to part with any of his things. So I laundered all of his sweaters, neatly folded them, and put them in my bottom dresser drawer. After we got his ashes, the container was placed in the middle of his bed, surrounded by all of his stuffed animals. Keeping his memory alive that way offered me comfort and consolation. By not getting rid of his things immediately, it helped to ease the grief and make the transition to acceptance easier. As far as bringing another pet into my life, no, I haven’t done so yet. I know that one day I’ll get another dog, but not in the near future. What do you think is the most important thing we can learn from our pets? I think our pets teach us how to live in the moment, and to accept ourselves and life unconditionally. I have come to think of pets as ‘fur angels,’ who by their example, show us qualities to emulate: loyalty, unconditional love, going with the flow, lack of judgment. You will often see those refrigerator magnets that say, “The more I’m around people, the more I love my dog.” But is it only dogs and cats that have the monopoly on these qualities? Or are these qualities also inherent in humans, but because of egoic concerns, we have a more difficult time of maintaining those qualities on a consistent basis. Dogs and cats observe life in a detached way without judging whether an experience is ‘good’ or ‘bad.’ And they live life with present-moment awareness. They don’t allow themselves to get drawn into the drama of it; nor do they carry around what happened five months ago or worry about tomorrow. Yesterday and tomorrow don’t exist, except in our minds. It is a more joyful and peaceful way of being. Is it possible for humans to live life that way? Absolutely! What message do you hope readers walk away with after reading your wonderful story? Thank you for considering my story “wonderful.” I am so happy you enjoyed it. What I hope readers walk away with is a light-hearted attitude. I hope that readers who have a dream learn to get out of their own way by stopping the negative self-talk and the limitations they’ve placed on themselves; to go out with confidence and make their dream a reality. It is my hope that the book inspires, motivates, and puts a smile on the readers face. I don’t think there is any one of us who hasn’t experienced heartbreak, loss or tragedy. It is my hope that the book will somehow get readers to recognize the beauty of life and to tap into their own inherent strengths and talents. And, then there’s Cherokee. His narration alone is worth the price of admission. Blurb: From the moment they first galloped head-to-head in Saratoga Springs, the two chestnut colts showed they were the stuff of racing legend. Alydar, all muscle with a fearsome closing kick, was already the popular favorite to win the Kentucky Derby. Affirmed, deceptively laid-back streamlined elegance, was powered forward by his steely determination not to settle for second place. In the Sport of Kings, the Triple Crown is the most valued prize, requiring a horse to win not just one race, but three: the Kentucky Derby, the Preakness Stakes, and the Belmont Stakes. And 1978 would not be just for the record books, but also one of the greatest dramas ever played out in the racing world. There were names to conjure with, worthy of the Sport of Kings. The bloodline of Native Dancer. The teen wonderboy jockey Steve Cauthen. The once unbeatable Calumet Farm—the Damn Yankees of the racing world—now in eclipse and hoping for a comeback. The newcomer Harbor View Farm—owned by brash financier Louis Wolfson, who wouldn’t let even a conviction and a prison sentence for securities violations stand in the way of his dreams of glory. And the racetracks themselves: Belmont, Saratoga, Pimlico. And, of course, Churchill Downs. It has been thirty-five years since Affirmed and Alydar fought for the Triple Crown, thirty-five years when no other horse has won it. Duel for the Crown brings this epic battle to life. Not just two magnificent Thoroughbreds but the colorful human personalities surrounding them, caught up in an ever-intensifying battle of will and wits that lasted until the photo finish of the final Triple Crown race . . . and Alydar and Affirmed leaped into the history books. 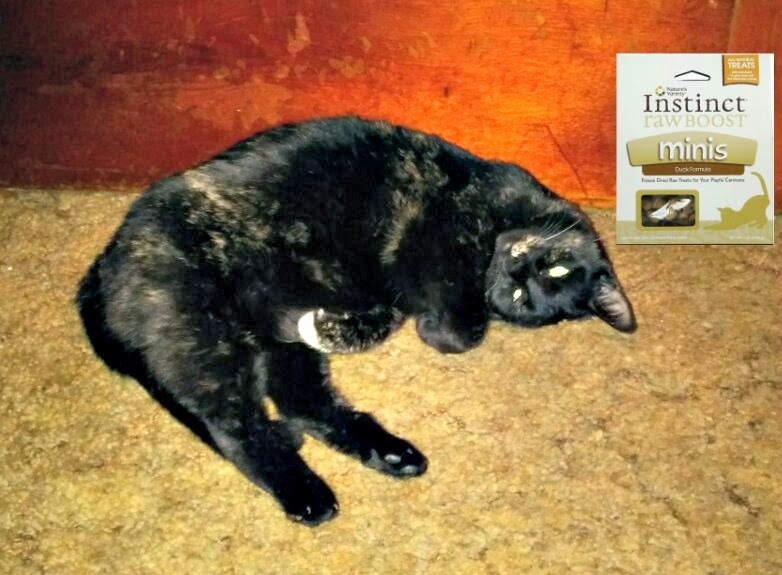 Mochas, Mysteries and Meows Review: I am not a sports fan. While people around me heatedly debate major sporting events I smile politely and pretend that I know (or care) about what they're discussing. That being said, I am a NASCAR fanatic and passionate about horse racing's Triple Crown. I've religiously watched the Triple Crown races since the late '80s, and have seen some special horses come sooo close...Alysheba, War Emblem, Big Brown, Charismatic, Sunday Silence. I've also suffered through the tragedies of Barbaro and Eight Belles, which almost made me give up horse racing altogether, as Ruffian's tragic breakdown made my mother stop watching in the '70s. It's for this reason I only watch the 3 races per year...I am so terrified for the horses during each race I'm practically shaking until it's over. To coincide with this passion I have a fairly extensive library of biographies of famous racehorses, and Duel for the Crown now has a cherished spot in my collection. It chronicles the aforementioned 1978 Triple Crown races between the great Affirmed and Alydar. While at times the first half of the book can move a bit slow as it focuses on the humans behind the horses, the thrilling second half is written so vividly I felt as though I was a spectator at the racetrack witnessing history. Shockingly, there is also a possible murder mystery involved. Sad, but true. Have you ever watched the three classic races? One of the great things about the Internet is that all of these historic horse races are available to watch anytime with the click of a finger. Check them out and I guarantee that after watching them you will want to read the definitive account of that magical spring during which two spectacular 4-legged athletes captured the hearts and imagination of a nation. Thanks to the publisher I have an extra Advanced Reading Copy of this book to give away. Simply leave a comment (with your email address) by noon eastern on Friday, April 25th. (US entries only) Do you have a favorite horse racing memory? Full Disclosure: I received a copy of this book from the publisher with the request for a review. 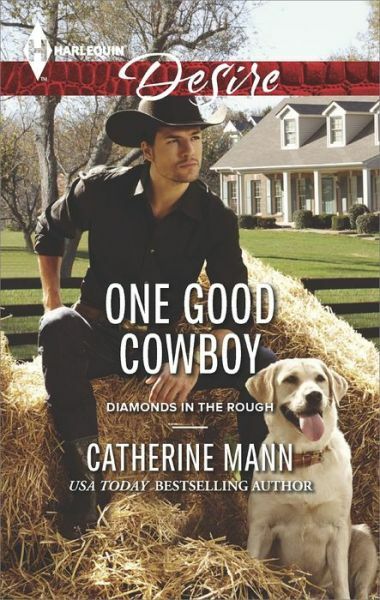 Today is my blog tour stop during the blog tour for One Good Cowboy by Catherine Mann. It was my great pleasure to have the opportunity to ask her some questions about her animal rescue work. This blog tour is organized by Lola's Blog Tours. The blog tour runs the whole month April on weekdays only, you can view the whole tour schedule here. What inspired you to write One Good Cowboy? I’ve long wanted to write a cowboy story – watching all those John Wayne movies growing up certainly made an impression! The opportunity and idea for a cowboy trilogy came along and what a treat it is to see the “Diamonds in the Rough” series launch with One Good Cowboy! I understand you are actively involved in animal rescue...can you tell us about the work you do? My family and I foster puppies and special needs dogs for our local animal shelter – we stopped counting at 100. It’s incredibly rewarding to help give these homeless animals the safe haven they need until they find their forever home. I also serve on the Board of Directors at the shelter. I read on your website that you recently completed hands-on training for the Florida State Animal Response Coalition. What did that entail? I went through an all-day training seminar, followed by an exam and a practice scenario setting up a temporary rescue shelter. There is also an online course included. FLSARC can be called to participate in rescue scenarios in other states as well. 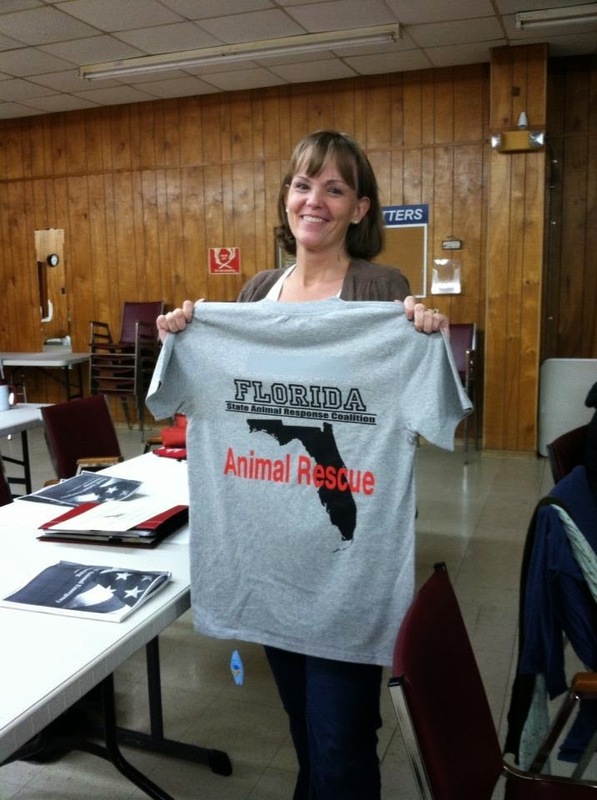 Having completed the FLSARC training also enables me to help with my local shelter’s D.A.R.T. (Disaster Animal Response Team). These teams can be called in to assist in anything from post-hurricane rescues to hoarding situations to puppy mill raids. Please tell us about the fur babies you share your life with. I have four dogs and a cat, all rescues adopted from a shelter – a puggle, a yellow lab, a beagle, an American bulldog/pointer and a yellow tabby. My adult children, my sisters and my parents have all also adopted some of my former fosters! Family reunions are a treat on so many levels! The title on your website header is "Rescued by Love". How have you been rescued by love? 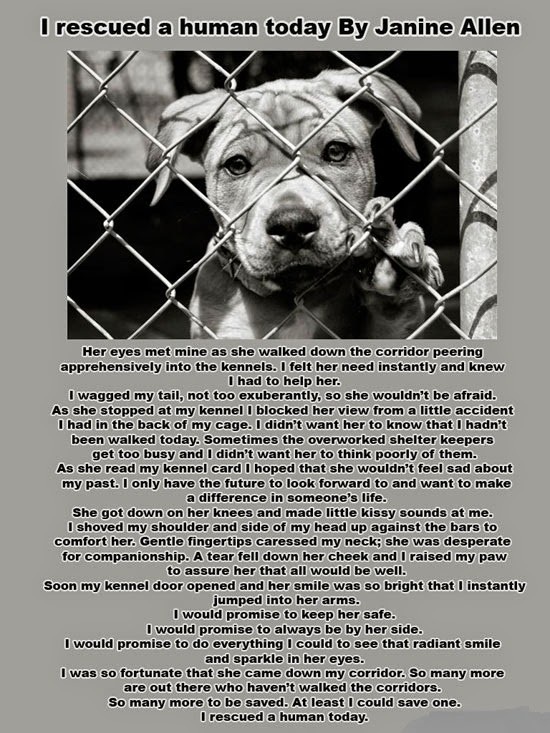 There’s an awesome poem animal rescuers share called, “I Rescued a Human Today” by Janine Allen. The poem explains it far better than I can. Hope you are as touched by the poem as I have been. In addition to this please leave a comment (with your email address) for the chance to win one paperback copy of your choice: either For the Sake of Their Son by Catherine Mann or 2-in-1 book Grayson's Surrender and Taking Cover by Catherine Mann. US and Canada only, ending at noon eastern on Friday, April 25th.